That is a valid question, thank you for asking. We decided to take a look at different markets in Asia and to compare both mobile and fixed broadband prices with our own market, Myanmar. Our panel includes Cambodia, Vietnam, Thailand, Singapore, Hong Kong and of course Myanmar. Considering our limited time and human resources, the comparison is not exhaustive. We simply pick one ISP and one mobile operator in each country as the reference. Not the cheapest, not the most expensive. A most extensive study will probably give better and more accurate results but we believe reach the same conclusion. 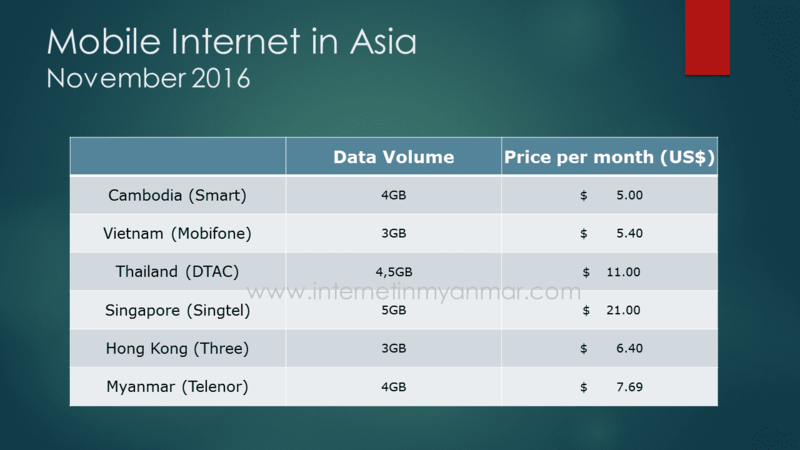 As we can see, mobile Internet in Myanmar is nearly as affordable as Vietnam and Cambodia and much cheaper than Thailand. So from this perspective, we cannot say that Internet is expensive in Myanmar. It is actually cost-effective and explain why mobile Internet is so popular in Myanmar. According to ITU, fixed broadband penetration in Myanmar was 0.3% in 2015 vs. 8% for Vietnam and 9% for Thailand. Cambodia and Laos are not that far from Myanmar with 0.5% penetration. 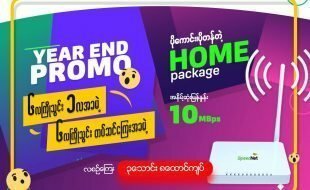 But Myanmar customers will certainly be surprised to see that, in Cambodia, they can get a 10mbps fiber connection at home for 40$ a month. 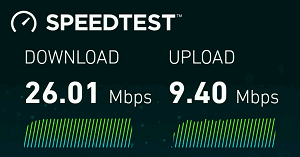 With a 30$ deposit only compared to the 300-500$ setup fees charged by fiber providers in Myanmar! Fiber broadband is affordable all over our panel except Myanmar. 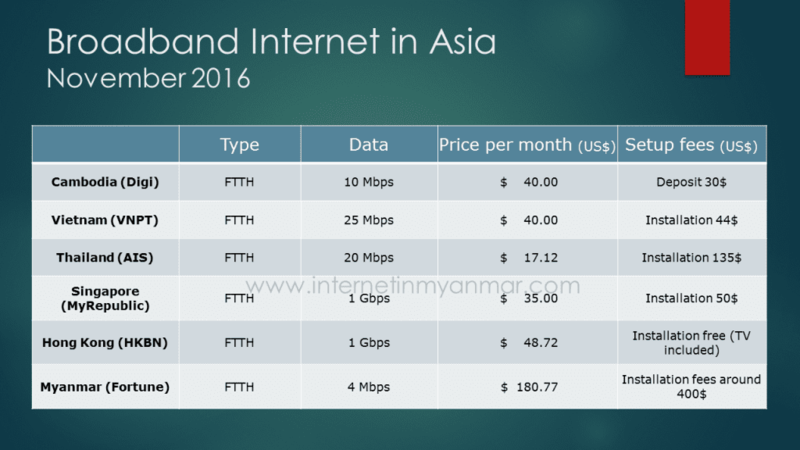 Myanmar is 4 to 5 times more expensive for a tenth of the bandwidth and heavy installation cost. So why is fixed broadband so expensive in Myanmar? Are these Internet Service Providers robbing us? Why can’t they provide affordable Internet like mobile operators do? First, keep in mind that 99.9% of the bandwidth consumed in Myanmar comes from overseas. It is not entirely true as service providers use cache and CDN solutions to save on international bandwidth and improve quality of experience. These solutions allow popular contents to be accessed directly from the domestic networks. So lets rephrase it: there is barely no content genuinely hosted in Myanmar. 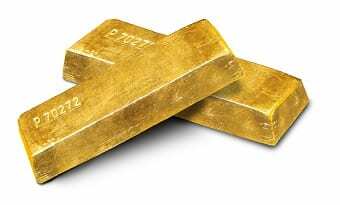 All the contents come from overseas and even if cached or duplicated at some point, have to be sourced from international carriers at first. The reason why there is no content hosted locally is a vast subject but to put it in a simple way is mainly due to the lack of domestic peering and early development stage of hosting / cloud services in Myanmar. That is the main lesson learnt so far. Let’s come back to the topic: why Internet is so expensive in Myanmar? International capacity has been limited for some time and shortage rhymes with high price. But this capacity is expanding quickly. Three new submarine cables should come live in 2017 according to TeleGeography. New terrestrial routes are also being built to China, India and Thailand. Soon, Myanmar will become a huge transit hub for the region. All these projects will compete with each other to provide the most reliable and affordable path for international connectivity. Obviously, it will help to bring the IP transit cost down. Waiting for that time to come, does that mean that the current capacity limitation is the main factor for high IP transit cost? If we take the example of the terrestrial route to Thailand for instance. From Yangon to the border: 300km. Leasing 2 cores of fiber in Myanmar: around 100$/km. That is 30,000$/month to reach the border. Sourcing capacity in Thailand is quite cheap, we assume service providers to pay 25$/Mbps for 1Gbps and 10$/Mbps for 10Gbps at the Thai border. So the final price per mbps would be respectively 55$/mbps for 1Gbps and 13$/mbps for 10Gbps including transport to Yangon. As capacity grows, there is a huge economy of scale due to the flat transport cost. According to MMRD research service, in 2015, Myanmar bandwidth capacity was 70gbps. Every mobile operators in Myanmar is already over 10Gbps of capacity. Telcos would argue that having one fiber route to the border represents a point of failure and that they need route diversity. This redundancy increases indeed the IP transit cost. At 10Gbps, we can add a markup of 5$ (500km) for redundancy which brings the cost per mbps at 18$/mbps. In a nutshell, transit capacity and cost are not the main challenges to bring broadband price down for the end consumer. And it would certainly not explain why fixed broadband is so expensive compared to mobile broadband in Myanmar. 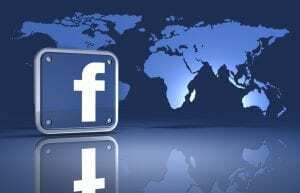 The second factor that is more at stake is related to the International Gateway license or IGW. To source international capacity, telcos need a license. As of today, MPT, Telenor and Ooredoo are sole telcos officially authorized to cross the border. Mobile operators. The same mobile operators that manage to sell affordable mobile broadband to their customers. Every Internet service provider in Myanmar needs to source bandwidth from these IGW licensees to operate. If we take a look at the transit situation in Myanmar (thanks to Hurricane BGP), Ooredoo is leading the pack and providing bandwidth to many local ISP such as Frontiir, AGB, Fortune or Kinetic. As for Telenor, it provides IP transit connectivity to Globalnet, Yatanarpon and Frontiir as well. MPT does not seem to sell transit to anyone. It is not entirely true because some of the small ISPs don’t own public Autonomous System and IP’s and then will not show up on Hurricane website. Some of them like Net Core use MPT IP’s to operate. This is not called Transit but DIA (Direct Internet Access). Because of this triopoly, ISPs are paying the high price to get access to international bandwidth. Mobile operators will argue that there is a transport cost behind and that they need to build or rent fiber to the border but we saw a few lines ago that this is not necessarily true. 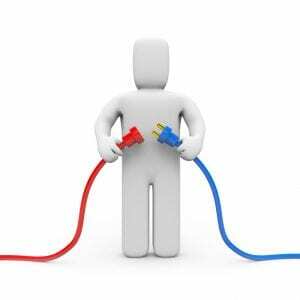 Due to this situation, fixed broadband prices are still high in Myanmar but things are definitely getting better. The good news is that Myanmar government recently opened the application for new International Gateway licensees and large infrastructure providers will certainly be very interested to apply and offer an alternative to ISP’s in Myanmar. Since the rumors of the IGW law, the trio-poly has already crumbled and we have seen transit price dropped significantly over the past 12 months. 2017 will definitely see transit cost continue to drop for the benefit of the end customer. Telenor already pulled the trigger a few weeks ago with its FTTH pilot which prices leaked (45,000ks for 2mbps and 79,000ks for 6mbps). This is definitely a good sign even if we would like to see 10, 20, 50 mbps packages popping up on the same price range. So far, the broadband market in Myanmar is mainly divided between fiber and wireless providers. Companies such as Yatanarpon Teleport, Elite, Fortune, RedLink have been operating for years in Myanmar in the old fashion way. They have kept their prices high and aligned, fearing no competition for years. Now comes a new generation of wireless providers which are more aggressive: Net Core, Bluewave, True Net or Myanmarnet for instance. Unfortunately, they are small players using a technology which is not sustainable. 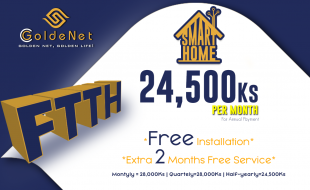 MyanmarNet is not a small player, still their current technology is not adapted for residential services and quality of service will degrade rapidly. Cf. our article about MyanmarNet. Some of them already are moving to fiber as the access medium but it will take time and funding to do it on a large scale. This situation is not helping the customer in his decision process. None of the current ISPs have been able to impose itself as the leading provider, the default choice. That is probably the reason why most of the customers end up using 3G / 4G Internet at home, sole solution to be trustworthy, affordable with very little barrier to entry. This explains why broadband penetration is so low and will continue as such as long as new players don’t come into the picture. Good news is that 2017 should see new entrants in the broadband market. Telenor will certainly draw a lot of attention with its Fiber to the Home (FTTH) pilot. Amara Communications and Yatanarpon have recently won 2600Mhz spectrum allowing then to launch LTE / 4G broadband services. Amara expects to launch its services in April 2017 but it will be challenging considering the Myanmar group needs to build an ISP from scratch. YTP will probably be ready to launch LTE within 6 months. Yatanarpon Teleport is a public company operating in Myanmar for years and that has never really shined for its sales and marketing strategy. The question is more to see if they have the capability to re-invent themselves and launch attractive affordable 4G packages. Through this article, we try to give a complete overview of the Internet cost main factors and the reason why fixed broadband is so expensive in Myanmar. There is still good hope that the situation will change in 2017. Lets not expect this to happen too soon as it takes time for prices to go down and new players to launch their services. But Myanmar is moving at an amazing pace and by end of 2017, we should enjoy fast Internet at home for an affordable price. RedLink is dead, Hail to RedLink ! I am wondering what kind of impact it will have on mobile internet given that the price is already comparable with those of the neighboring countries. Does that mean the end-users for mobile internet will see minimal decrease in prices? On a related note, thinking from the providers sides, if volume of capacity is not a (critical) issue, wouldn’t bringing in that much capacity (from 3 submarine + several terrestrials!!) will cause a market saturation ? We don’t foresee any major price drop down regarding mobile internet. But the mobile operators will certainly try to put more value in their package (more MB, bundle with voice, zero-rating). We think there will be more and more big data packages like the one Ooredoo just launched (40GB for 50,000 ks) so that customers can share their mobile broadband plan. Regarding capacity, we should not expect any saturation anytime soon for the simple reason that this capacity needs to be distributed. There is still a huge untapped market that will take years to connect in 4G and/or fiber. Actually from a customer standpoint, there is none. They both represent dedicated Internet capacity. The difference is at the network level. DIA is a capacity allocated by an ISP to a customer with or without public IP. This capacity remains in it’s AS (Autonomous System). Transit is an agreement between two different public Autonomous Systems to allow traffic to cross one of them to reach the other. The advantage of transit for an ISP compared to DIA is the possibility to sign transit agreement with multiple upstream providers for diversity purpose (link failure protection and route selection optimization). ISPs cannot afford to rely on only one upstream provider no matter how resilient it is. To do transit, ISP needs a public AS and public IPs. This AS and IP’s will be advertised to Internet via the transit provider and will be globally reachable. With DIA, the customer basically belongs to your supplier network and is completely tied to it. This is totally fine for corporate customers not for telcos / ISPs. I am just curious. Is there a way to know the percent of data cached locally? Does that mean when we access the data could be outdated? Only the telcos can say what percent is cached locally but this percentage is significant. There is very little risk to get accessed to outdated data as caching and CDN solutions usually come with mechanisms that check that the original content has not changed.